About Anna: I’m a DONA International-certified birth doula and C APPA-trained prenatal educator working in Toronto, Ontario, Canada. I holds a BA in political theory from Northern Illinois University and a Master’s in Library Science focused on community information resources for youth and families from the University of Illinois at Urbana-Champaign. As a doula, I dedicate my practice to assisting families as they prepare for their birth via education and emotional support, offering evidence-based information throughout the planning process and helping to explain the various changes and concerns many families face during the birthing year. In addition to my own support in pregnancy, labour, and the early postpartum period, I strive to help families find ways to connect with their communities for support and companionship as they enter a new stage of their lives. For more information or to get in touch, you can find me at www.midtowndoula.ca. The combination of my education background, professional experience in undergraduate student affairs, education, and community library services, and the process of immigrating to Canada in 2011, I came to realize how difficult it can be to transition into a new life in a culture where our local community connections have taken such a hit, and I began working toward becoming a resource for members of my community who might find themselves disconnected or lacking in support. I quickly found that new parents and young families, especially those who come to this tremendously diverse city from other parts of the country and around the world, are among those who most struggle to find connection and the tools they need to find and engage with others who share their stories. 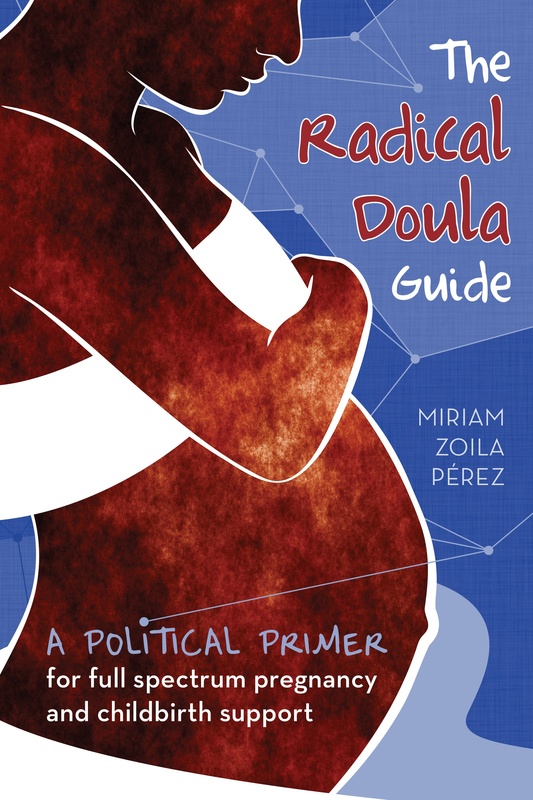 In a way, I think most doulas are a bit radical–we are working hard on a movement toward a colossal change in the way our culture approaches birth, moving from the expectation that pregnant people will take directions toward the expectation that they will make choices for themselves that must be respected and informed. Additionally, however, I am pro-choice and strive for an inclusive practice that is welcoming and embracing of diverse families and experiences. As a member of the LGBTQ community, I know how difficult it can be to find providers and support people who do more than pay lip service to inclusive work. I do everything I can to make sure not only my practice but the resources I share and the referrals I offer are the most inclusive I can find. My philosophy as a doula is that every family should have support for their reproductive choices, regardless of what they might be, and it really ends there. I strive to be a source of reliable, balanced information and support, whom people can approach without fear of judgment or discomfort, and do everything I can to be someone you can trust to help you follow through on individual decisions once you’ve made them. In the grand scheme, I love being the link between people. When I can connect someone with another person and know they’ll find the support they need in one another, I know I’ve done my job well and met my personal and professional goals. In a more specific sense, I absolutely love seeing the sun rise after an overnight labour, whether it’s the first sunrise we’ve shared or the second. I’ve seen them in all seasons and from many different parts of my city, and it feels powerful and magical every time. I’ve always loved mornings, but my appreciation for them has grown immensely since I started this work. I would love to see a cultural shift in the way pregnancy information is presented. Although I know most of the information sources need to be approachable enough for a wide range of educational backgrounds, I wish more of our resources shared the information to help families make informed decisions rather than simply telling them what will happen at various stages in the pregnancy and birth process. It’s sometimes a subtle difference, but I think it’s so, so important. I would also like to see a greater focus on informed choice (which to me implies a fairly even balance between the right to consent and the right to refuse) and informed consent (which makes informed refusal feel heavily discouraged). Again a sometimes subtle difference in terms of outcomes, but not such a subtle difference in approach.